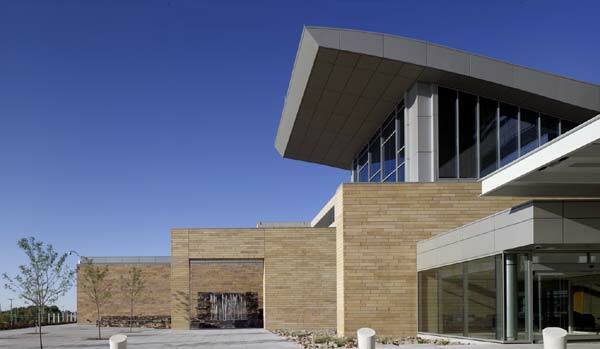 Murray, Utah: A massive healthcare facility gives form to a parallel shift in medicine that emphasizes the art of healing rather than the mere administration of scientific procedures. 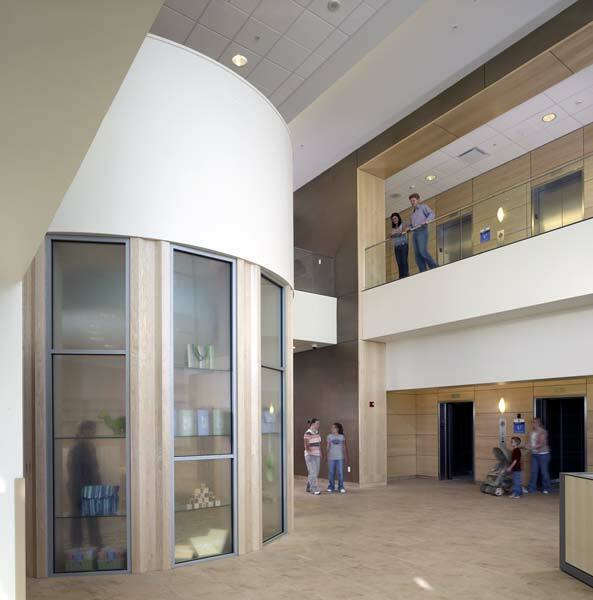 Contemporary trends in medicine and design signal the end of the imposing sterility of older-generation hospital facilities. 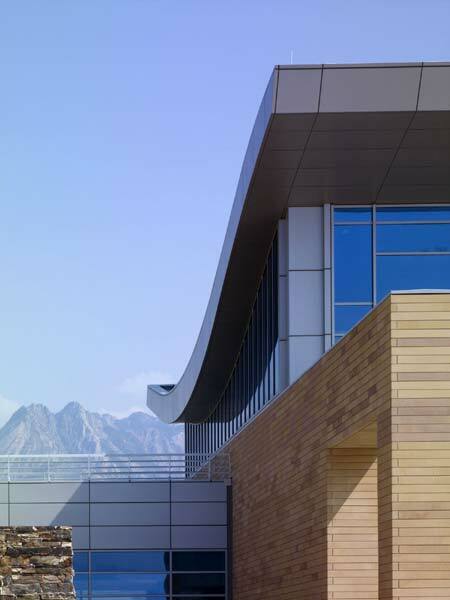 At Intermountain Medical Center in Murray, Utah, designed by Anshen+Allen, the principle of patient-centered care is at the heart of the design. 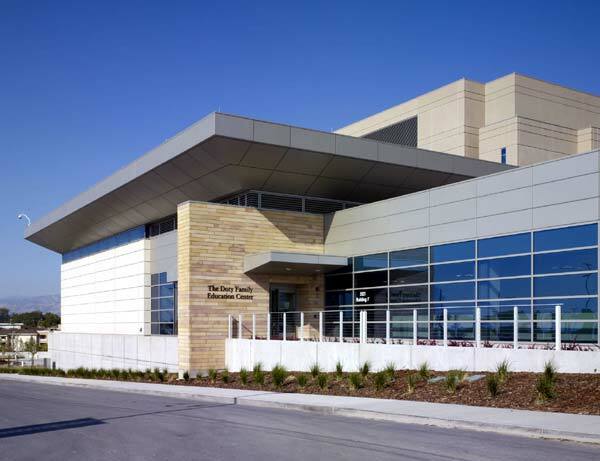 The 1.5-million square foot facility embodies a new approach to clinical architecture, where sunlight, patient comfort, and natural materials are as much a part of the design equation as accommodating the latest in digital imaging equipment. 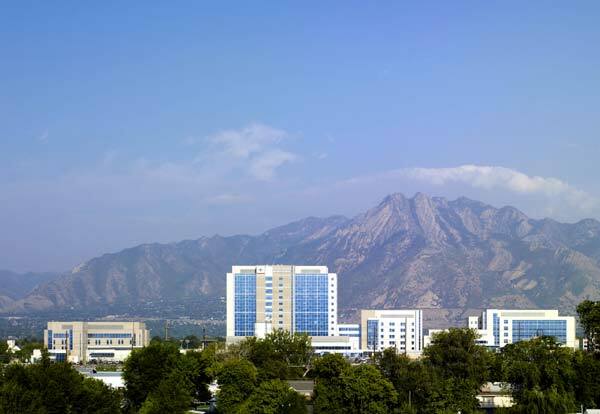 Located 10 miles south of downtown Salt Lake City, the Intermountain Medical Center, opening October 29, will be the flagship campus for Utah's Intermountain Healthcare. 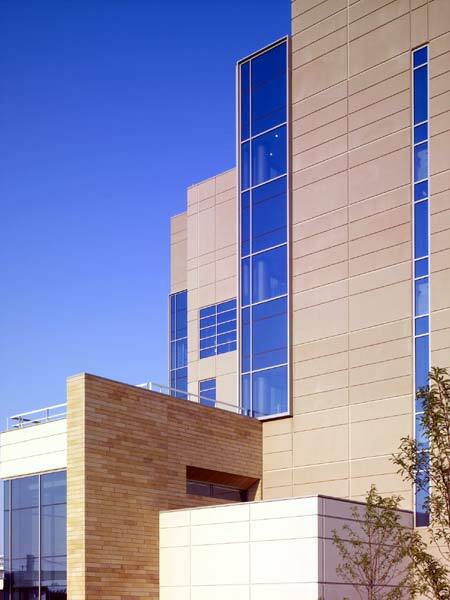 The new facility dispenses with the monolithic medical tower, instead featuring five separate clinics, each designed around the principles of patient comfort and dignity. Wood and stone surfaces complement warm interior color palettes, while serene landscaping, meditative spaces, private alcoves, and natural views will help instill a sense of calm. 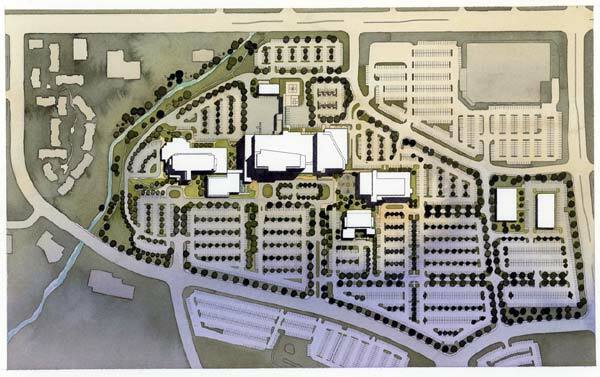 Each of the five buildings on the 110-acre former brownfield site has its own identity, entrance, lobby, and parking. The 15-story J.L. Sorenson Patient Tower houses 486 inpatient units in specialized 32-bed sections. 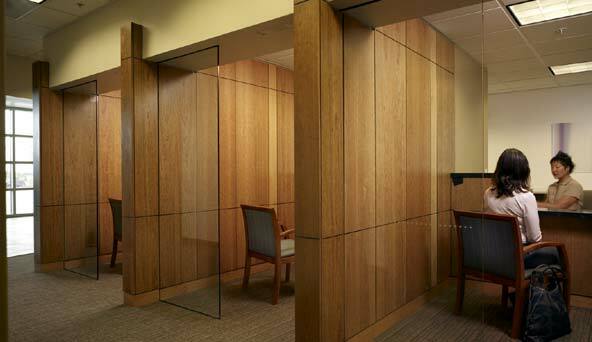 Patients and staff can discuss medical and insurance history in secluded wood-enclosed registration bays. Single-occupancy rooms maximize privacy and comfort, while reducing the risk of spreading airborne pathogens between patients. Each room has a sink near the door for visitors to wash their hands, additionally lowering risk of infection. 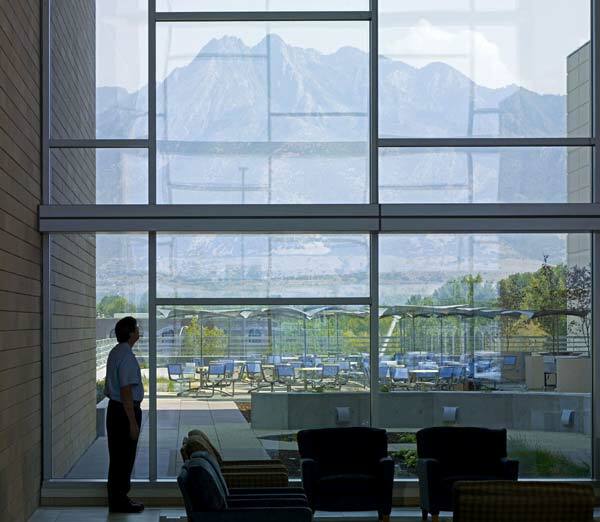 Guests may prepare food in "family pantries," and glass curtain walls afford views of the Wasatch and Oquirrh ranges. On the ground floor, emergency care is reorganized into low-level flex care, more urgent acute care, a trauma unit for the most critical cases, and a decision unit for those needing monitoring before a diagnosis. Meanwhile, the neighboring six-story, 120,000-square-foot George S. and Dolores Doré Eccles Outpatient Care Center contains no beds. 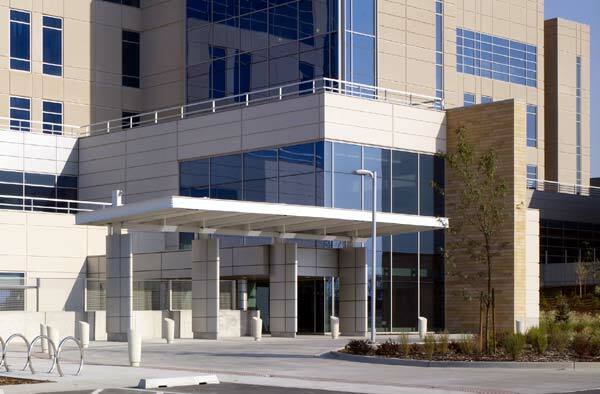 As emergency and inpatient care are located next door, outpatient schedules are more likely to run on time, from the clinical offices on the top four floors, to diagnostics on the second, to the surgery and pharmacy facilities on the ground level. The seven-story J.L. Sorenson Heart and Lung Center features a labyrinth for walking meditation – along with cutting-edge technology. 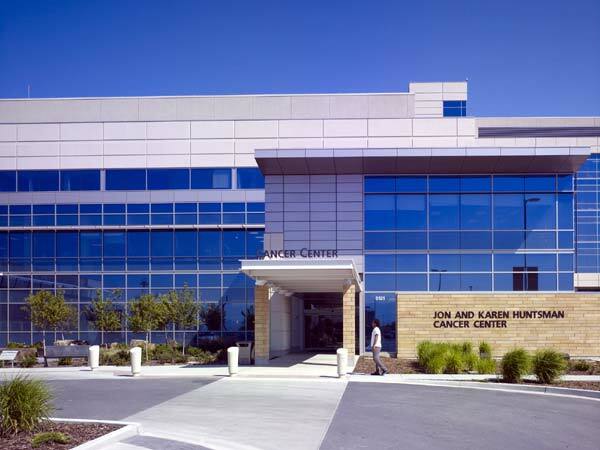 The three-story, 48,000- square-foot Jon and Karen Huntsman Cancer Center combines oncology, radiology, and surgery in an environment that revolves around patient needs, while the six-floor Carolyn Barnes Gardner Women and Newborn Center puts obstetrics, post-natal care, gynecology, and breast care under another roof. Technology enhances patient-centered care throughout the design. 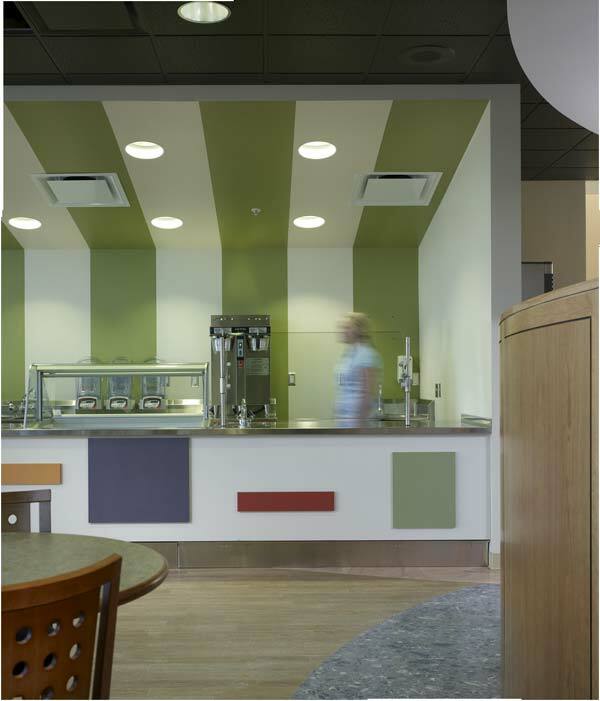 Anti-microbial carpet dampens hallway noise, replacing the familiar sterile tiles. Two-way audiovisual networks link the pharmacy to private kiosks in the wards, where patients can order medications for delivery via pneumatic tubes. From scanners to gamma knives, medical equipment throughout the facility is state of the art. Although located in separate buildings, acute care and cardiopulmonary services are located opposite each other to provide rapid-reaction options in emergencies. Indeed, the careful placement of the structures indicates that the traditional hierarchical hospital tower has been superseded by a closely integrated network of clinical sites. Plugged into this clinical network, the freestanding Doty Family Education Center houses a 300-seat auditorium, eight classrooms, and two computer labs. This facility, unveiled in June, caters to the continuing education needs of medical professionals, and is already in use for seminars and review courses. The turn away from the iconic object in modernism occurs in the context of an ongoing reevaluation of the meaning of modernity in architecture. Instead of the monolithic, nuance and fragmentation are welcome expressions. The Intermountain Center responds to a parallel shift in medicine, emphasizing the art of healing, rather than the mere administration of scientific procedures. This may ring post-modern, but it is not anti-modern: Hard research into the role of the environment in patient recovery has found that such factors as peace and quiet, natural light, comforting materials, and calming views have therapeutic effects. 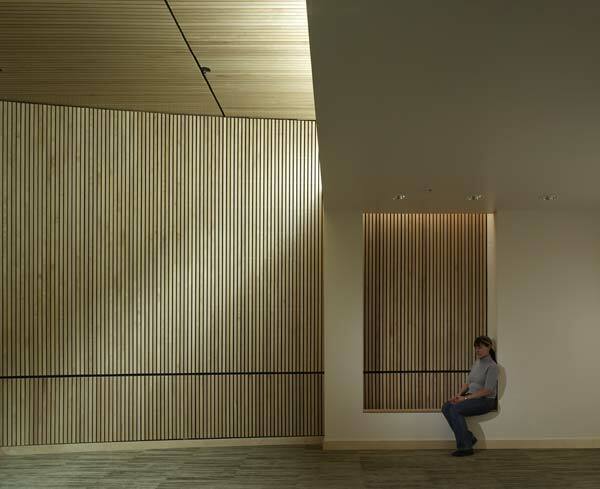 As such, Anshen + Allen's Intermountain Medical Center gives form to contemporary directions in architecture and medicine, setting a standard for a new model of clinical design. Gregory Hoadley is a writer and editor based in the San Francisco Bay Area. Executive Structural Engineer: Reaveley Engineers & Associates, Inc. Mechanical Engineer: Van Boerum & Frank Associates, Inc.
Life Safety: Rolf Jensen and Associates, Inc.
Anshen+Allen, founded in 1940, now comprises more than 375 staff in four offices: San Francisco, Seattle, Boston, and London. Anshen+Allen is one of the largest architecture firm in the United States solely dedicated to serving healthcare and academic clients. 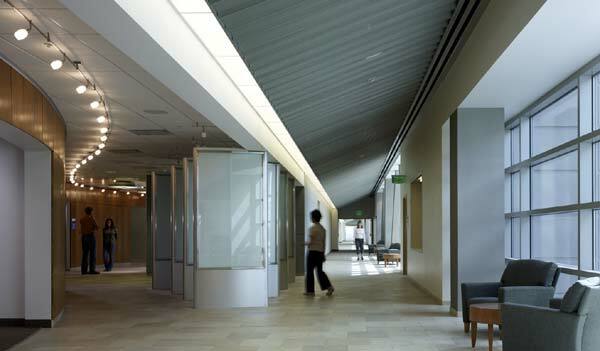 Current work includes another project for Intermountain Health Care in Riverton, Utah; the Stanford University Medicine Outpatient Center in Redwood City, California; Peninsula Medical Center in Burlingame, California; and the new hospital at Mission Bay for the University of California, San Francisco. The new flagship medical center is set against the beautiful backdrop of Utah’s Wasatch Mountain Range. Exterior materials relate to the color of the Utah landscape. Floor-to-ceiling windows in the main lobby maximize connectivity to nature. 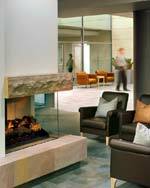 From the main lobby, visitors can look out to the Wasatch Mountain Range. The spine of the building connects the entire campus with views out to nature to orient visitors. In the hospital admitting area, protection and observance of patient privacy begins at registration. 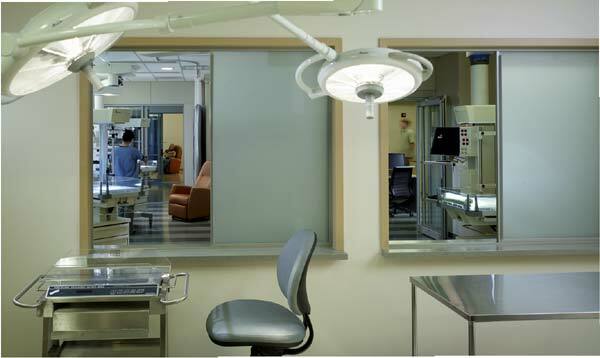 Typical patient rooms in the J.L. 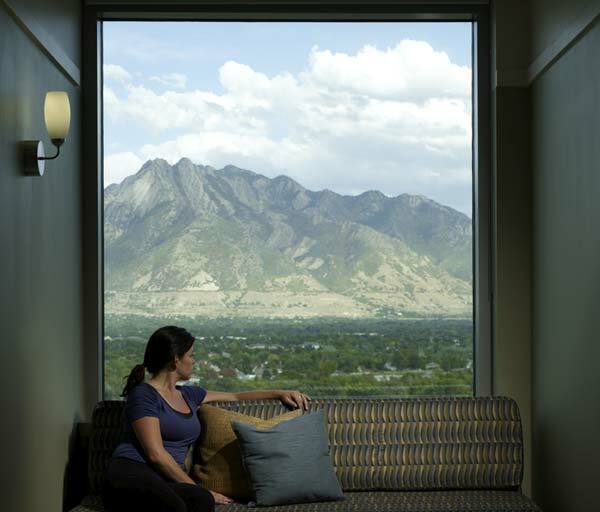 Sorenson Patient Tower feature unusually large windows with views to the mountains and a sofa bed to accommodate family members. Entrance to Huntsman Cancer Center steps down in scale to welcome patients. 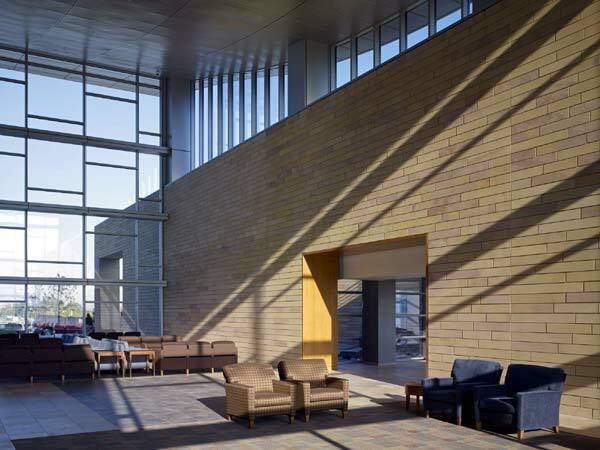 Near the Huntsman Cancer Center entrance, the resource library and “living room” sets the tone for the caring environment. 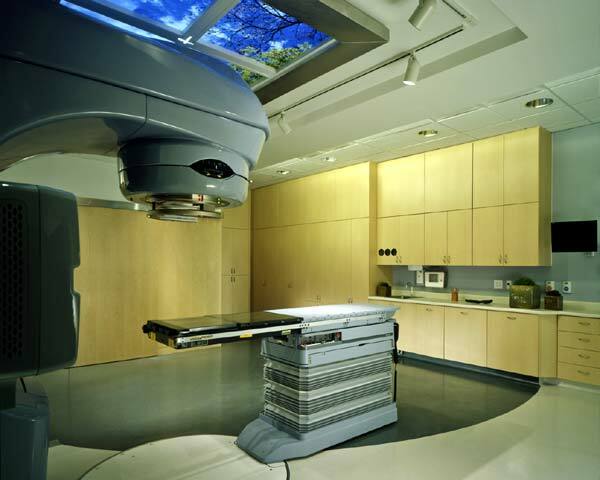 The Huntsman radiation treatment rooms with sky images overhead; cabinetry conceals potentially intimidating technology. 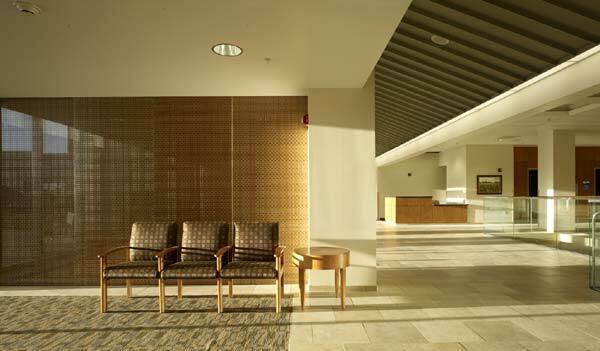 Sunlight plays on the diverse materials and calming color scheme of the lobby in the J.L. Sorenson Heart & Lung Center. The Meditation Room offers a place for contemplation and respite 24 hours a day. The distinct entrance to the Carolyn Barnes Gardner Womens & Newborn Center features a large canopy for drop-off and pick-up. One of the innovations at IMC is the pass-through from the C-Section Room directly into a private NICU patient room where a neonatology team will resuscitate an infant. The Doty Family Education Center includes a 300-seat auditorium, eight classrooms, and two computer labs.